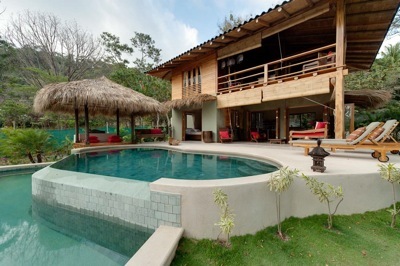 Our Hand Picked Costa Rica Beach Houses in Mal Pais, Santa Teresa and Hermosa. 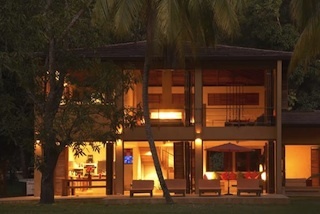 We work with some of the best houses to rent along the Nicoya Peninsula. Each one offers something unique for its guests, all have fantastic locations and the Costa Rica Vacations concierge service. Here they are from Manzanillo down to Mal Pais. Casa Macondo Costa Rica is set within the Batik Costa Rica retreat and has a South American feel, with warm vibrant colors and atmosphere. It offers a fully equipped kitchen and a large dining room table perfect for dinner parties. Located in the private, tropical setting of Batik Costa Rica, Casa Mali has been built to enjoy the outdoors: the living area is completely open with multiple seating areas, a private pool and a teak wood deck. The high ceiling, with fans throughout, reveals beautiful bamboo beams and gives the house a light and airy feeling. It is hard to put into words just how special The March House is. Its design is both breathtaking and expansive and has been enjoyed by many visitors over the years as well as some Hollywood A-listers.